How does your kid like Tinitell? My son Jai loves his wrist phone and enjoys showing other kids and adults how it works! Does he use it often? He wears it on a daily basis, but we have taught him to use it only when he needs to reach us. I love Tinitell’s design because it doesn’t have a display that would distract him at camp or school. How easy it is to use. Jai has cerebral palsy and left sided weakness and this is a perfect phone for him in so many ways. He wears the phone on his left side and can easily call me with the use of his right hand. I think this wrist-phone is ideal for young kids, but also for older kids and people that are differently-abled. My son is unable to use the wrist watches/phones with touch screens as the dexterity to use those is not something he has. With his Tinitell he feels independent and confident knowing that mom is just a couple presses away on the easy to press center button. 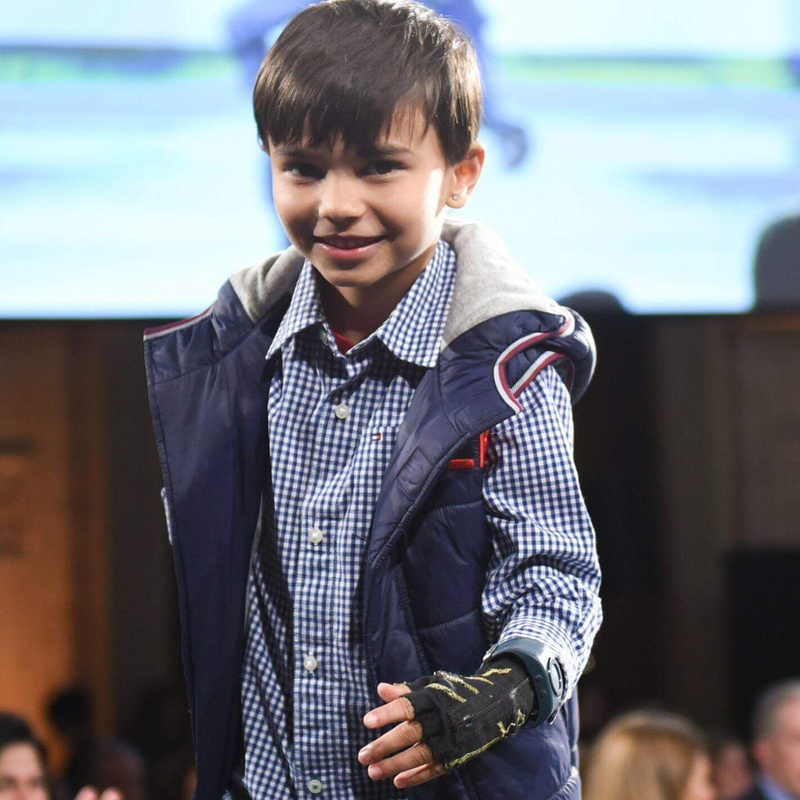 Jai is a model for Tommy Hilfiger Runway of Dreams which is promoting and making clothes for differently-abled individuals and I’m happy we found a wrist phone that he is able to use even with his differences. What is the funniest thing your kid has called to tell you? He calls just to tell me he misses me and loves me and that is so priceless especially because he doesn’t need any help or assistance in reaching me. When did Tinitell prove the most useful to you? When Jai is at camp or alone doing activities I am more at ease. If for instance, he gets too tired or overheated he can just call us and we will pick him up. We always have a close eye on him because of his cerebral palsy but this device allows him to contact us independently if he so feels he needs to. 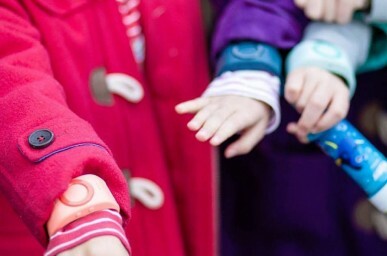 What’s your favourite outdoor activity with your kid? My son loves golf and he’s the best one-handed golfer I know!